The SMART drumlines will add an extra layer of protection for beachgoers and minimise harm to sharks and other marine life. A trial of up to 10 SMART drumlines will be introduced in Newcastle that will add an extra layer of protection for beach-goers as well as minimise harm to sharks and other marine life. According to a recent press release, the trial for the Shark Management Alert in Real Time (SMART) drumlines will happen from 1 February to 30 April 2019. The drumlines will be introduced across Stockton, Nobbys, Newcastle, Bar, Dixon Park and Merewether beaches near existing shark nets. They will be set 500 metres offshore every morning, as long as the weather permits it, and will be collected at the end of each day. They consist of two buoys and a satellite-linked communications unit, which is attached to a hook baited with a single mullet. 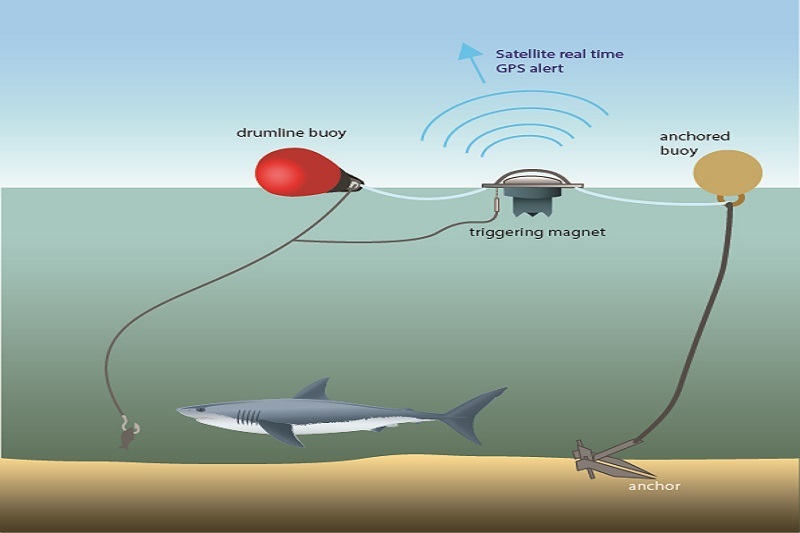 As explained, the state of the art technology differs greatly from the operation of traditional drumlines as they are designed and operated to maximise the survival of sharks and other marine animals caught. If a shark or other animal is captured, the pressure on the line triggers the communications unit, which then sends an alert via phone call, email and text message to a boat crew who will respond to the animal within 30 minutes. If it is a target shark, namely a white, bull or tiger shark, it will be tagged and then released one-kilometre offshore. All other marine animals caught are released immediately. The Minister for Primary Industries Niall Blair said this is the first time SMART drumlines will be trialled in Newcastle and will add an extra layer of protection to the NSW Government’s shark net program. The North Coast and other parts of NSW have shown that SMART drumlines are a highly effective measure at intercepting sharks with minimal impact on the marine environment. The Government has been at the forefront with new technologies such as SMART drumlines and have seen some great results, which is why it is time to trial these in some new locations. SMART drumlines are a valuable research tool. Sharks caught on them can be tagged and released alive, allowing the Department of Primary Industries to collect data about the population of sharks that use NSW coastal environments. The data collected includes the sharks’ seasonal pattern of movements along the NSW coast. Sharks that were tagged with satellite tags are being detected more than 12 months later, with the longest period between tagging and last detection is 756 days. Preliminary analysis of satellite tagged sharks suggests that they often head further offshore immediately after release, within the first 24 to 48 hours. In addition to minimising any immediate threat of an interaction with water users, their movement offshore, after release, further enhances the value of the technology as a non-lethal bather protection tool.